The ACCESS Education Programs are an off campus extension of the University of Winnipeg’s Integrated Bachelor of Arts & Bachelor of Education Program. Our programs are designed to provide academic opportunities for people with inner city experience, as well as single parents, mature students, and immigrants. The University of Winnipeg Education Centre (WEC) offers a warm, supportive and educational environment that fosters learning and the belief that all of its students can become successful teachers. 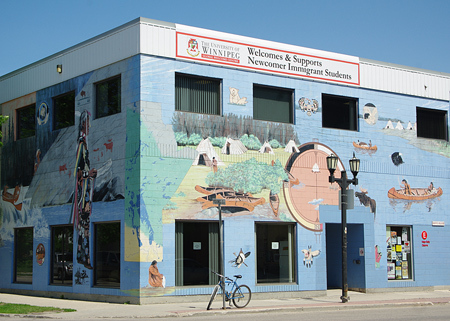 The Immigrant Teacher Education Program (ITEP) was created to aid internationally trained teachers to gain experience in the Manitoba teaching profession through a unique curriculum of academic and practical courses and workshops. The Community-based Aboriginal Teacher Education Program (CATEP) is designed to provide Aboriginal Educational Assistants with the opportunity to complete an Education degree while continuing to work.